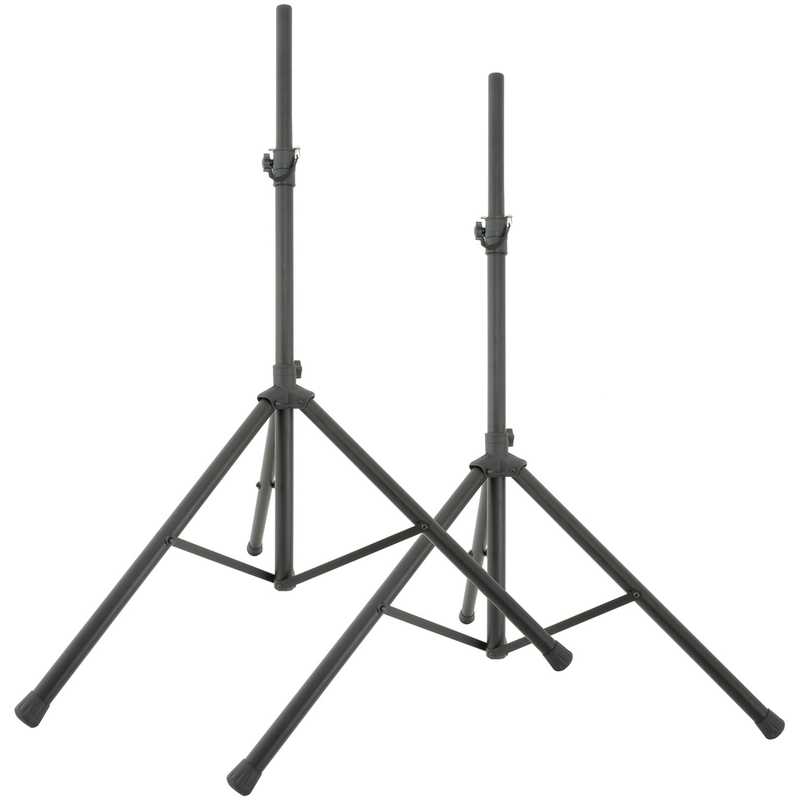 Mackie SRM450 bundle deal, package deal includes 2 x SRM450 V3 PA speakers, tripod stands and quality audio cables. 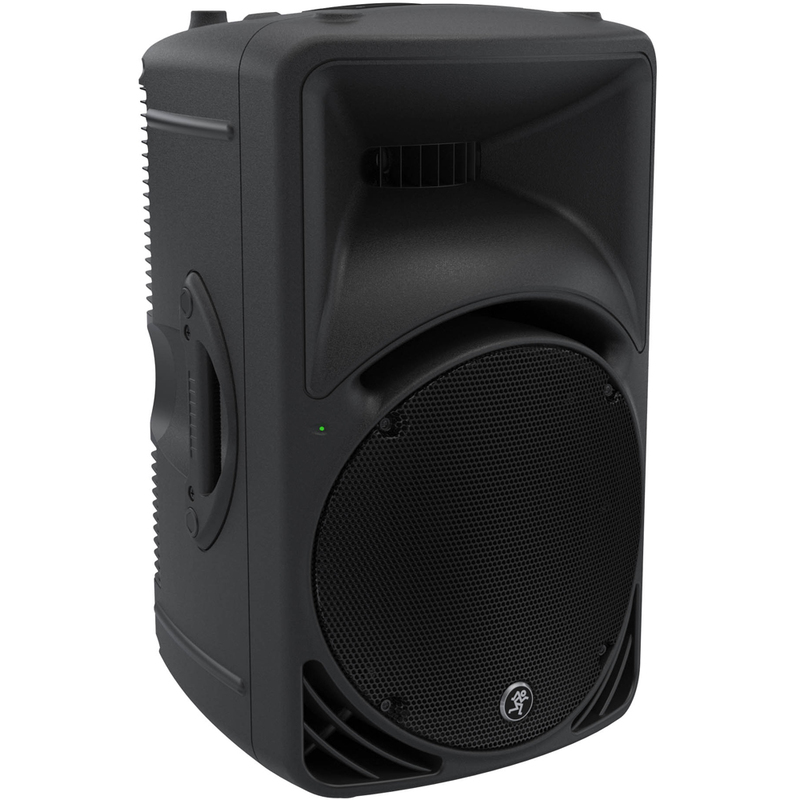 Ease-of-use, professional sound quality and indestructible portability have made the Mackie SRMs a live sound legend. 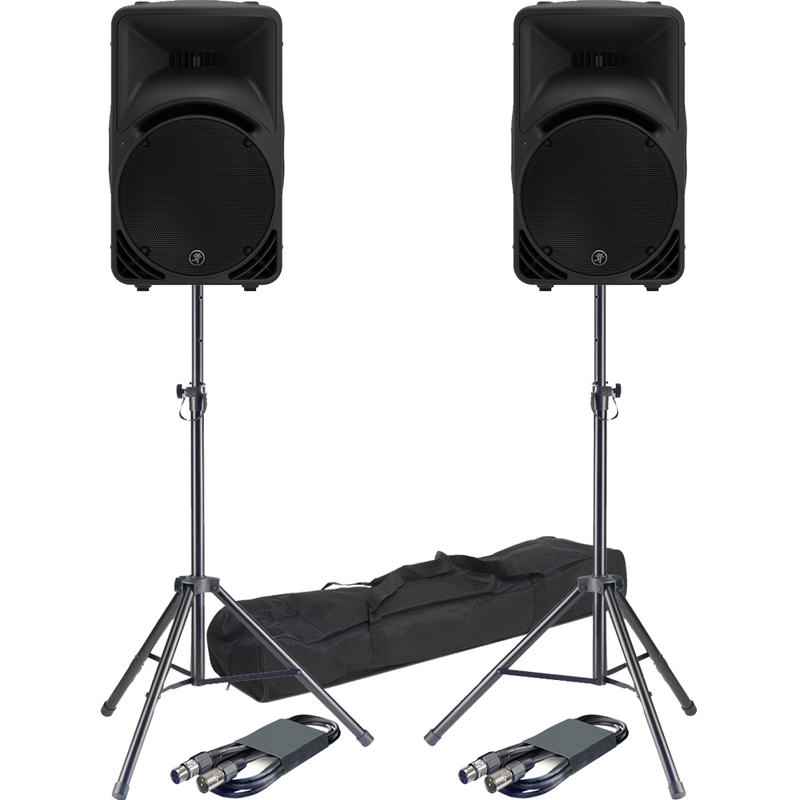 With 1000W of peak power, 500W of pure RMS and enhanced digital processing, the SRMs deliver an unmatched balance of power and sound quality in a lightweight, portable package. The legendary SRM Portable Series features two models, each with a different LF driver and overall size. 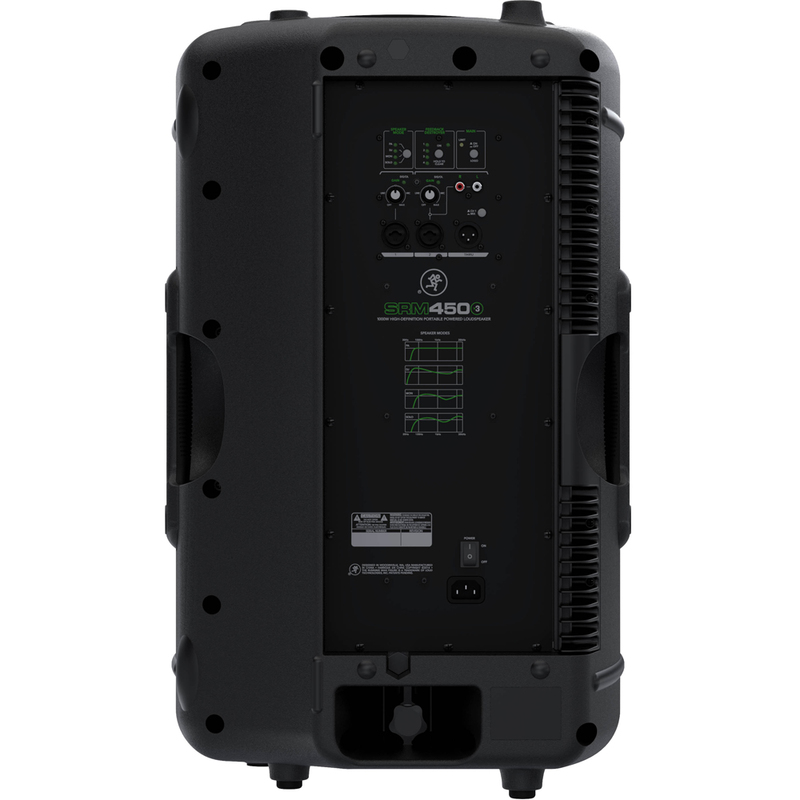 The SRM450 and SRM350 feature a powerful 1000W amp platform paired with custom high-output drivers and Mackie Smart ProtectTM DSP for intelligent system protection for a solid, reliable PA solution perfect for your high-output application. SRMs feature an integrated 2-channel mixer, so you can easily mix multiple sources. 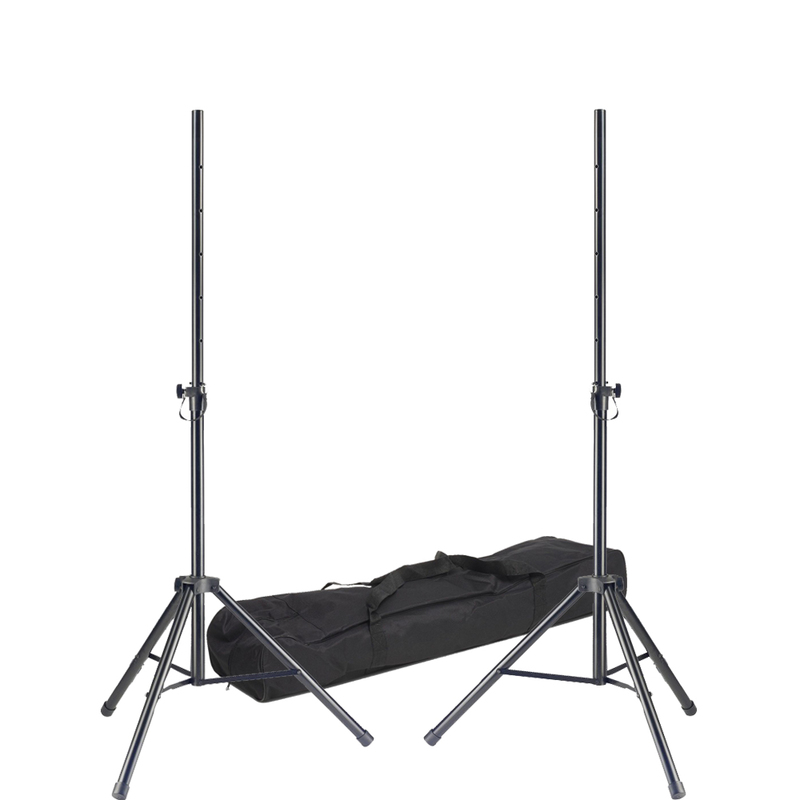 2 Mackie Wide-ZTM inputs offer flexible connection options and ultra-wide gain range. 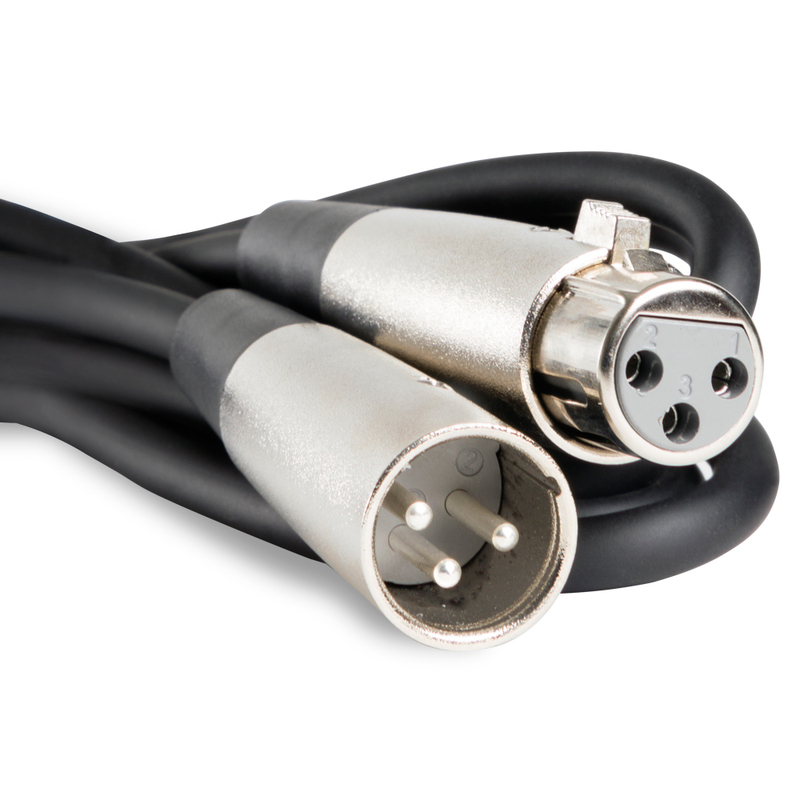 A stereo RCA input is included for connecting a smartphone, laptops, etc. 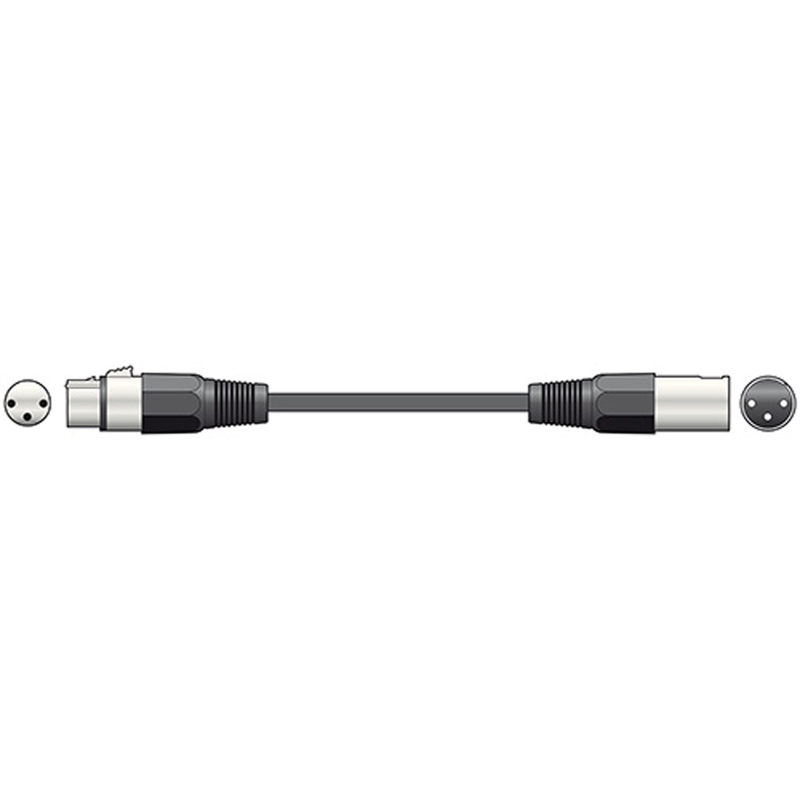 There’s also an n XL thru with source options for connecting to other speakers. 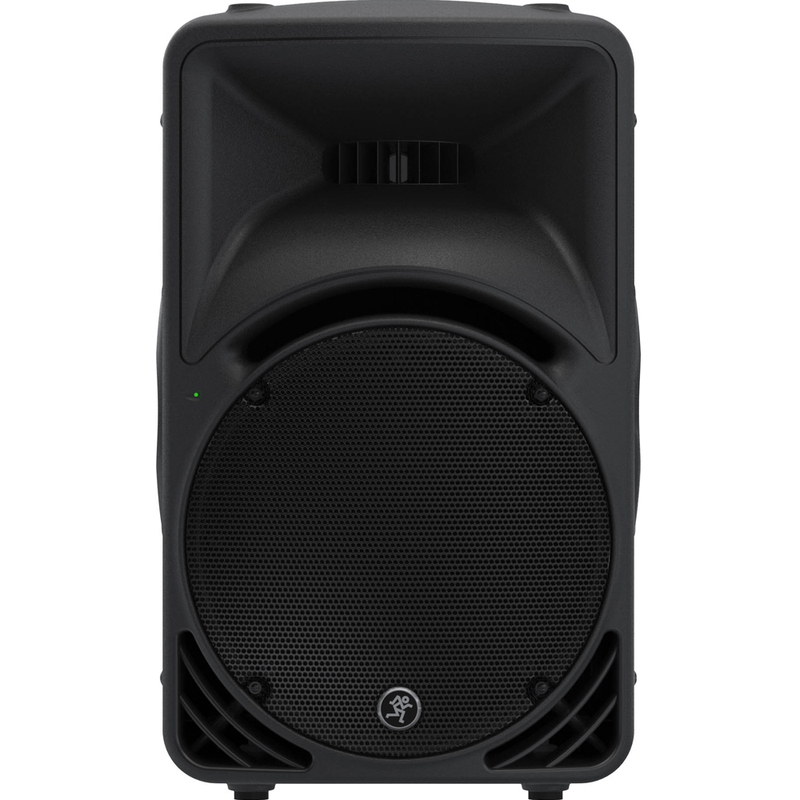 You can choose between four different speaker modes to optimise your SRM for the application at hand. Automatic Feedback Destroyer allows you to get rid of nasty feedback for fearless performance with a single button push.